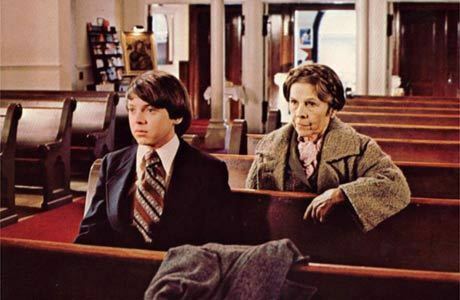 The quirky comedy that was the inspiration for countless quirky comedies to follow, Harold and Maude tells the story of suicidal young Harold Chasen (Bud Cort) and his kindred spirit, an 80 year-old rabble rouser named Maude (Ruth Gordon). Maude helps Harold come out of his shell and in turn, Harold provides a welcome companion to a woman in the twilight of her life, all set to the music of Cat Stevens. At film's end, Harold works up the nerve to go and propose marriage to Maude, only to discover that she's taken a cocktail of pills to commit suicide. 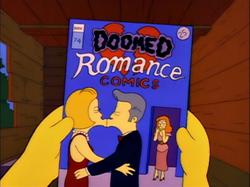 He spends her final minutes by her side, and then seems to be headed for one last suicide attempt to join Maude, but aborts at the last minute and dances on a mountainside, playing his banjo. It's a bittersweet ending to one of the sweetest love stories ever put on film for even though Harold is alone, he will live to love again. One of the more controversial films of the last ten years, Brokeback Mountain actually turned out to be one of the more conventional love stories ever made. Ennis (Heath Ledger) & Jack (Jake Gyllenhaal) spend a summer in their early 20s herding cattle on the side of the titular mountain, and discover a love they never knew they were capable of. Though both would go on to "normal" relationships with women (Michelle Williams & Anne Hathaway respectively), they would reunite annually to resume their doomed love affair. On their last week together, Ennis pushes Jack away, saying that they can never be together, and that proves true as soon after that, Jack is murdered. The film ends with Ennis still carrying the torch for his one true love, and Heath Ledger's scene at Jack's home where he finds the shirt Jack was wearing when they first met is one of the purest and most heart-wrenching depictions of love lost ever put on film. One of the most innovative things about director Derek Cianfrance's film Blue Valentine is that it simultaneously shows us Dean (Ryan Gosling) and Cindy (Michelle Williams) falling in and out of love. The film is an interwoven tapestry of scenes from the beginning and end of their relationship, and it makes their hopeless love affair all the more tragic. Climaxing in a scene that intercuts their marriage with their final fight before they break-up for good, the film is brutally honest about love in an achingly real way. It brilliantly builds your love for these characters just in time for you to realize that there's no way they're ever going to work things out, and that's part of the film's genius. It's designed specifically to break your heart. Woody Allen's 1977 Best Picture winner, Annie Hall, opens with Alvy Singer (Allen) telling us that his relationship with Annie (Diane Keaton) is over. That would seem to make it borderline impossible to root for their relationship to work, but as the film breezes by, we fall in love with both characters and hope against hope that they'll work things out in the end. That they don't is actually testament to how well realized the characters are, because ultimately, we realize that they're actually better people apart than they were together. It doesn't make it any easier to bear watching Alvy trying desperately to recreate some of his favorite moments from his relationship with Annie with other women, but it makes it feel all the more real. 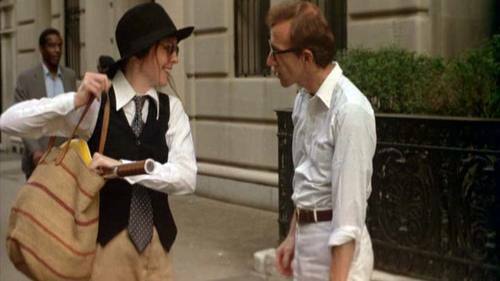 Annie Hall is a purely cinematic invention that traffics in very real, honest emotions. 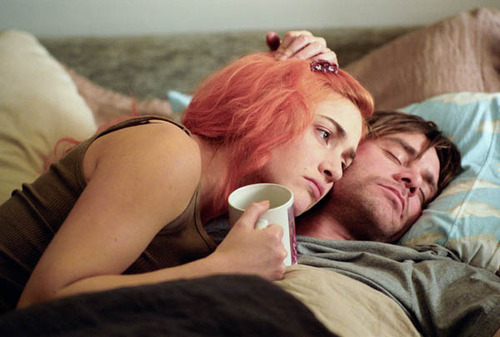 It's virtually impossible for me to be objective about a film whose main female character I named my first born daughter after, but Eternal Sunshine of the Spotless Mind is my favorite love story ever put on film. Joel (Jim Carrey) meets Clementine (Kate Winslet) on a trip to Montauk, NY one Valentine's Day. After a brief, pre-titles courtship, we're re-introduced to Joel, about to go through a procedure to have Clementine erased from his memory. The sheer brilliance of the film is that they work in reverse chronological order, so we see the bad stuff about their relationship first, but when it gets to the good stuff, Joel suddenly decides he no longer wants his memories of her erased and attempts to hide her in memories in which she doesn't belong. Watching these two characters attempt to cling to the idealized versions of one another is a thing of true beauty, and though the film ends on a somewhat optimistic note, we know that they're ultimately doomed to repeat the same mistakes since they took pains to erase any potential lessons learned. It's disheartening, pessimistic, and yet somehow beautiful and hopeful all at the same time. Even if they are condemned to repeat their relationship over and over again until the end of their lives, in the end, they'll still be able to love one another all over again, which is a true testament to the power of love.